These are basic, but good bootie. No zip means longer life. Easy to pull on, just like a sock. Warm in the water. 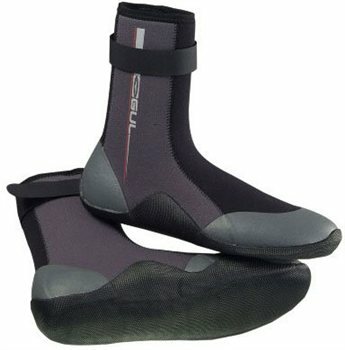 Sole is a bit soft if you plan on running around river banks chasing kayaks, however for surfing they seem ideal.